Because we love you, enjoy this gigantic collection of cosplaying genius. PAX East may have been last week, but the official start of convention season is happening now, as Wondercon 2014 wraps up tonight in Anaheim, CA. Naturally, we were on the scene for the little sibling to, and in many ways dry-run for, this summer's San Diego Comic Con, and we saw some panels, caught a couple of screenings, and ate too many pretzels. We also got to spend a couple of days basking in the reflected glow of total dedicated fandom as thousands of cosplayers turned out to show off their stuff and, perhaps, get some practice in before the big event this July. To prove it, we've brought back a huge collection of pics featuring some of the best and funniest cosplay on display over the weekend. From like the entire DC universe to video games to The Venture Bros., we had constant reason to be impressed. And now you will to. Read on, O Readers, and check out the best cosplay from Wondercon 2014. 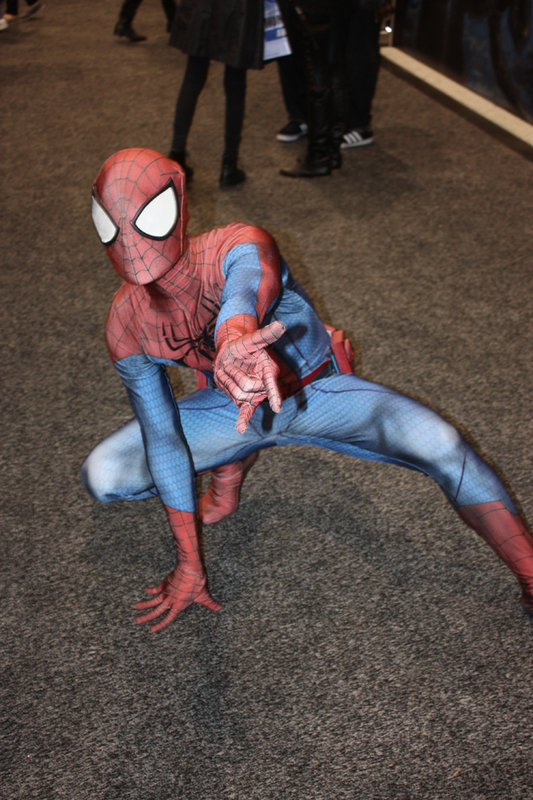 We'll start right now with this remarkably apt Spider-Man costume, complete with lithe Spidey posing action!